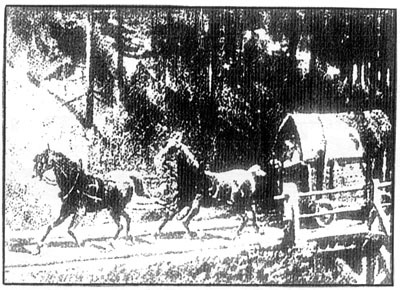 A BRIEF HISTORY OF THE “BUDWEISER PFERDE-EISENBAHN”(HORSE-DRAWN-RAILWAY BUDWEIS-LINZ-GMUNDEN: 1807-1873/1903. Zum 170. Todestag von Prof. Franz Anton Ritter von Gerstner(geb. 1796 in Prag, gest. 1840 in Philadelphia/USA) am 12. April 2010. 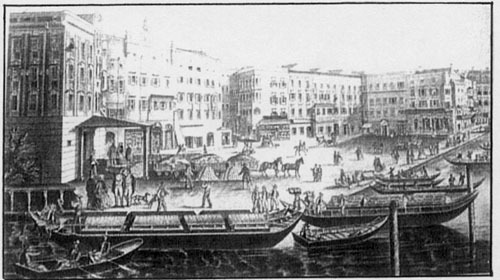 The narrow gauged(1106mm) horse drawn railway from Budweis(C.Budejovice) to „Gmunden-Terminal Bürgerliche Salzaufschütt am Rathausplatz”(= Gmunden-terminal salt magazines at the city hall) was constructed between 1825 and 1836. The main line was about 200 km(= 124 miles) in length(c. map). 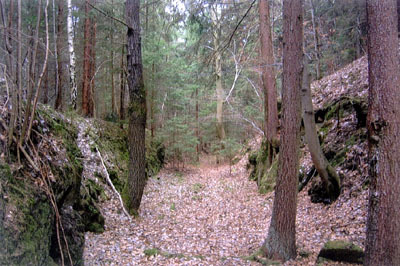 The old line had also a “Zizlauer-by-line”. In 2011 we could celebrate the jubilee “Budweiser-Bahn – 175 years/1836-2011”. 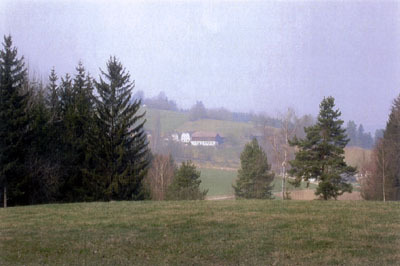 Initially, the line was constructed to take salt from the “Salzkammergut”(= a famous salt-region in the southern part of Upper Austria) to Böhmen(Bohemia), which itself possessed lots of mineral resources, but was completely lacking in salt. Yet other goods were also transported from the beginning(c. the statistics). Without timber, bricks, stones and fish. 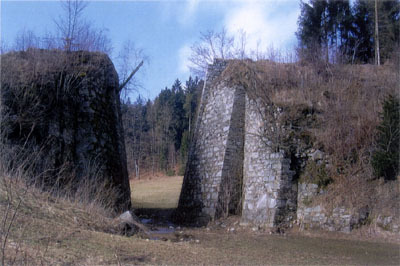 Between 1869 and 1872/73 this railway was reconstructed into a normal-gauged, modern steam-locomotive-line, only the section from Lambach to Gmunden remained narrow gauged(until 1903). 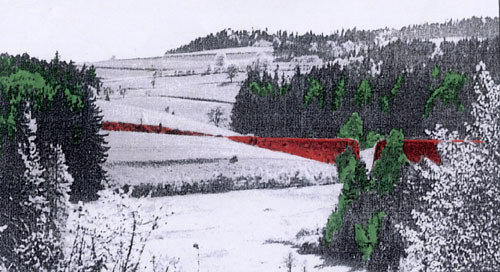 After this reconstruction, extensive parts of the old railway went out of function(c. map). 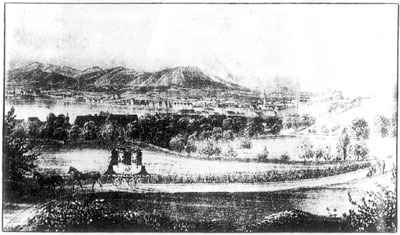 In 1807 Prof. Franz Joseph v. Gerstner(Prague/Prag) first published his idea to build a railway from the Moldau/Vltava river to the Donau(= Danube river). But the times were problematic in many ways and so his project quickly disappeared again for many years. In 1824 Gerstner’s son, Franz Anton, was able to get the necessary “Eisenbahn-Privilegium”(= railway concession) for a line from Budweis to the Danube. Thus the “k.k. priv. Erste Eisenbahngesellschaft”(= k.k. priv. First Railway Company) was already founded. In 1825 Gerstner handed over his concession to the new company, which was now founded officially. It was the first railway company in the German speaking part of Europe. We should also mention that as early as 1818, k.k. 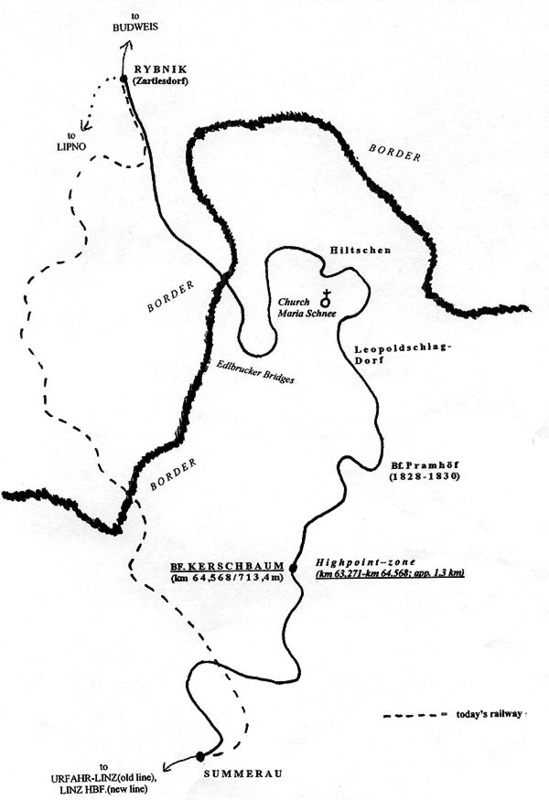 Hofbaurat(= imperial builder) Ferdinand Mayer(Linz) had published a plan for such a “Gmundener line”. 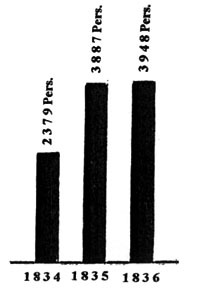 The content of Gerstner’s “Privilegium”(s.b.) was for the construction of a horse-drawn railway from Budweis(Moldau) to Mauthausen(Donau). Gerstner himself became the “Bauführer”(= builder). Because of internal and financial problems Gerstner quit in 1828. His successor was engineer Mathias Schönerer, who had constantly schemed against his former boss. Aus: B.Enderes, Die “Holz- und Eisenbahn” Budweis-Linz, Berlin 1926(Hier. 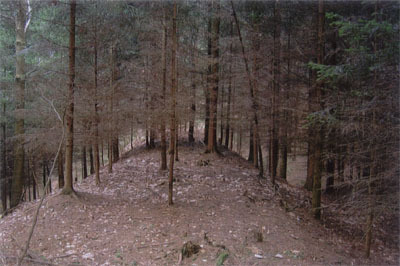 Nachdruck 2007), 11. 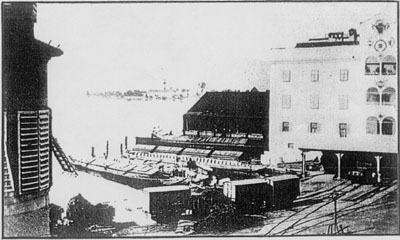 In his time the railway’s terminal station was changed because of strategical considerations. The line was ended not at Mauthausen but at the station “Urfahr-Linz”(situated in Urfahr, which became a part of Linz in 1919). This section was opened in 1832, the southern section to Gmunden, which was also built by Schönerer, in 1836. Gmunden: Terminal “Bürgerliche Salzaufschütt”(left) and “Personenbahnhof Traundorf(Annastr.”(= passenger station)(right). Aus: Das Gmunden-Taschenbuch, Gmunden 2007, 33. Aus: Pfeffer/Kleinhanns, Budweis-Linz-Gmunden, Wien/Linz 1982, 159. 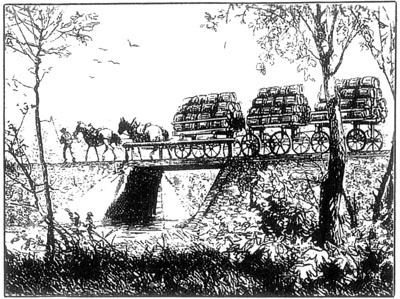 Instead of tugging the trains on a hill over an Inclined Plane - this was the traditional English method - he decided to build embankments and big bridges over trenches and gorges. “Ich erklärte … dass ich eine Eisenbahn sowohl in den Hauptgrundsätzen ihrer Anlage, als in ihrem Zwecke nur als eine sehr gute Kunststrasse betrachte, und daher in keinem Falle schiefe Flächen annehmen könne; allein meine Ansichten wurden von Niemandem in England gebilligt”(Berichte 1839, p. 56). His new paradigma was: A railway is nothing more than a very good street and not a dualistic system(s. Inclined Planes). 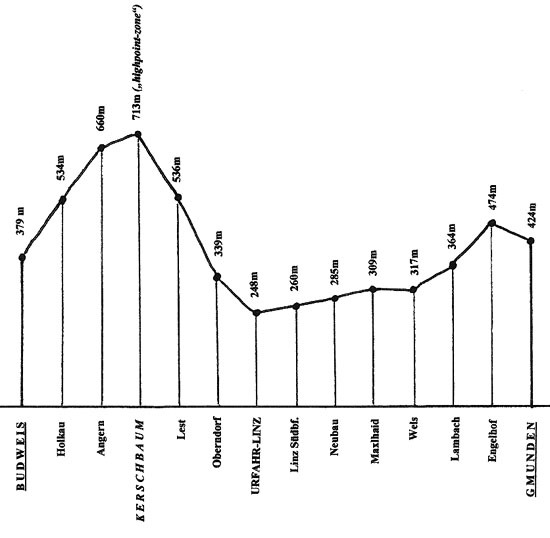 With this concept he really became the father of the “(Austrian)mountain-railway technique”, which later on saw its first peak on the Semmering mountain under Carl Ritter v. Ghega(1854). But Gerstner came first. It must be noted that his railway over the “Donau/Moldau-Wasserscheide” was the first mountain crossing railway in the world. 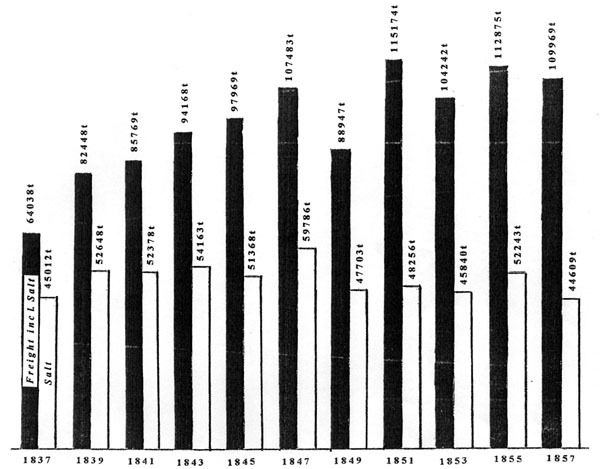 Incidentally, in England the old “Inclined Planes-Method” was also given up – Gerstner’s method really conquered the world. The recently opened Tibet-Railway in China was also constructed according to the technical principles of his revolutionary technique. 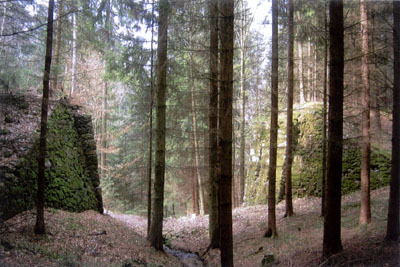 The ruins of Gerstner’s mountain railway(we already mentioned that long sections of the old Budweiserbahn are out of function today) can be found in the Austrian province of “Oberösterreich”(= Upper Austria). Nach: Pfeffer/Kleinhanns, Budweis-Linz-Gmunden, Wien/Linz 1982, 126. With every year they fall more and more into dilapidation – the official interest isn’t very strong. It’s sad but true – even in the context of the great symposium “Technikland Oberösterreich”(22./23. Jan. 2010, Schlossmuseum Linz) Gerstner’s revolutionary method failed to be mentioned. Aus: Pfeffer/Kleinhanns, Budweis-Linz-Gmunden, Wien/Linz 1982, 144.
a) The railway crossed the Danube on the (already existing) timber-bridge. Therefore this bridge became known as the “First Railway Bridge over the Austrian Danube”. b) Hofbaurat Mayer(c.b.) 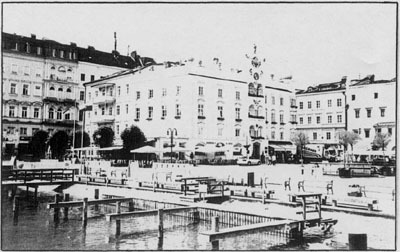 had published his project Linz-Zizlau – Gmunden in 1818. However, in 1815 he had already published his plan Linz-Zizlau – Lambach. This was the first railway-plan to be developed in Upper Austria and in the “Austrian Republic”. c) The section Urfahr-Linz – Linz Südbf. was the first city-railway in Linz and can be seen as the predecessor of today’s tram network. e) By 1856 the section between Linz Südbf. and Gmunden Annastr. was refitted with steam trains. So this line was the first narrow gauged steam train railway in the German speaking part of Europe. The first on the continent was in Belgium: Antwerpen-Gent, opened in 1845. Yet the Linz-Gmunden-line can boast of having been the second narrow gauged steam line of the continent. 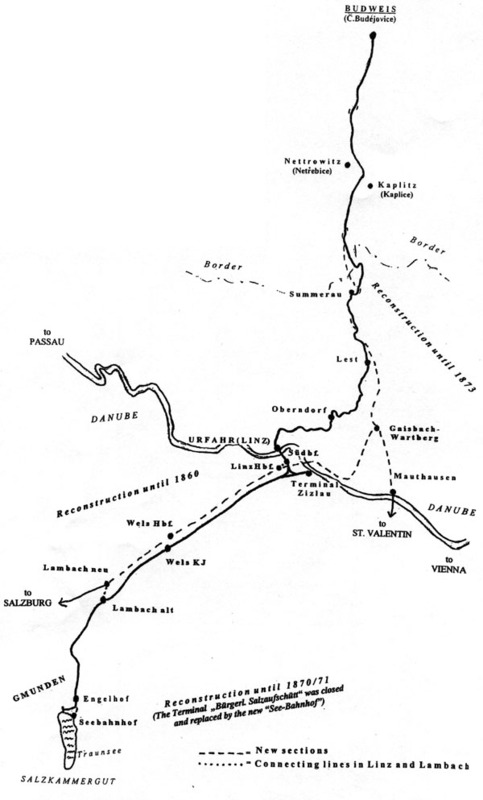 f) After the construction of the new, normal gauged locomotive-line Vienna-Linz-Lambach-Salzburg the section between Lambach and Gmunden became – technically speaking at least – the first “Lokalbahn”(= light railway) of Austria. Considering all these important aspects of the southern section alone, it is really astonishing that the official Upper Austria doesn’t really value this great historical heritage. Let’s hope, that this little essay will help change this situation. ENDERES Bruno: Die “Holz- und Eisenbahn” Budweis-Linz. –Berlin 1926(Hier: Nachdruck 2007). GERSTNER Franz Anton: Berichte aus den Vereinigten Staaten von Nordamerica. Über Eisenbahnen, Dampfschiffahrten, Banken und andere öffentliche Unternehmungen. –Leipzig 1839. 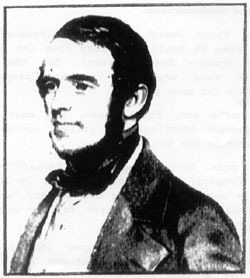 OBEREGGER Elmar: Professor Franz Anton Ritter v.Gerstner(1796-1840). Seine Bedeutung im Kontext der (österreichischen) Eisenbahngeschichte. –Sattledt 2009. OBEREGGER Elmar: Die „Erste (österreichische) Eisenbahngesellschaft“ und ihr Netz. –Sattledt 2008.